Since the BIDS Specification version 1.0.0 and the accompanying Nature Scientific Data paper were published last year we have been focusing on three things: stability, sustainable growth, and the software ecosystem. Sustainable growth translated into adopting a system of BIDS Extension Proposals (BEPs) and providing a BIDS Contributor Guide. I’m very proud to report that we have now 18 BEPs each with great leaders. 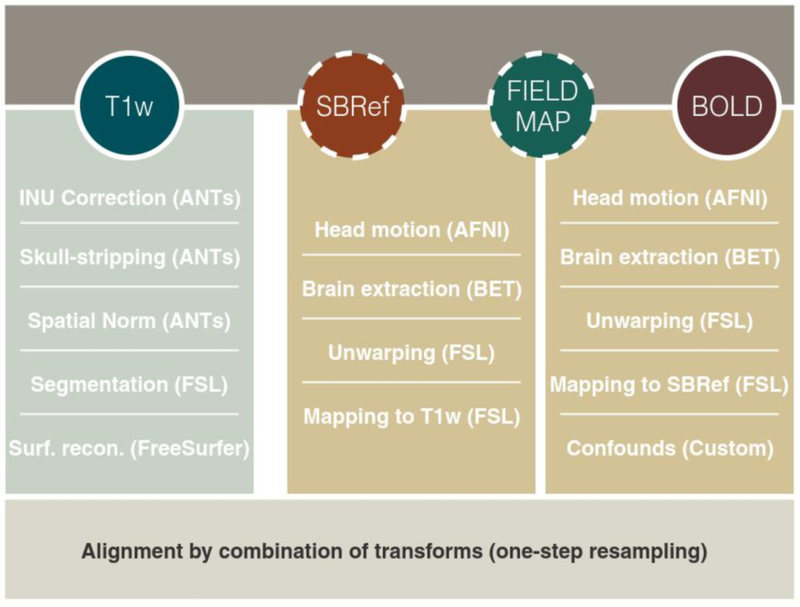 It’s worth highlighting the MEG BEP (lead by Guiomar Niso) that is close to being merged into the main spec (see this preprint for more details) as well as iEEG BEP (lead by Dora Hermes and Chris Holdgraf) and EEG BIDS (spontaneously coordinated during this years OHBM by Cyril Pernet). Finally, a lot of work has been put into the BIDS software ecosystem. pybids (the python BIDS query library maintained by Tal Yarkoni) has benefited from 39 pull requests this year. Similarly, the bids-validator (a very useful tool to check if your dataset is BIDS compatible) witnessed 66 pull requests this year. Work on BIDS is as always very collaborative - you can see the list of all contributors here. Even though the idea of portable (self-contained) data processing pipelines that take BIDS datasets as inputs - BIDS Apps - was born in 2016 the paper was only published (in PLoS Computational Biology) this year. We also saw 5 new apps added to the collection: tracula (by Franz Liem), ANTs Cortical Thickness (by yours truly), DPARSF (by Chao-Gao Yan), afni_proc (by Dylan Nielson), and BrainsSuite (by Yuen Kim). We are always on the lookout for new apps - so if you are developing a neuroimaging pipeline please get in touch. Due to the amazing effort by Oscar Esteban the MRIQC paper was published this year. We showed how different QC metrics can be used to automatically classify the quality of T1w images. In contrast to similar studies in the past, our classifier was tested on a new unseen site and still yield statistically significant accuracy. MRIQC is so much more than just T1w quality metrics - it’s also a great tool for visually diagnosing BOLD images. This year we have added a new exciting feature - crowdsourcing of the quality metrics. Each time anyone runs MRIQC (unless they opt out) anonymized quality metrics of the input scans are deposited in an open database. This will enable us to create normative distributions of QC metrics in the future. 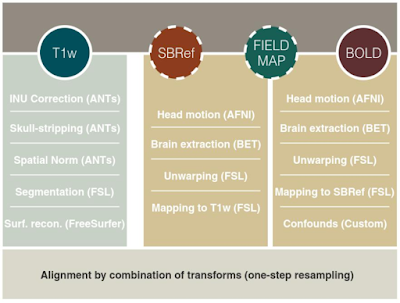 Our robust fMRI preprocessing tool - FMRIPREP - grew a lot this year and reached a major milestone: a 1.0.0 version release. Kudos go to main developers Oscar Esteban and Chris Markiewicz as well as many contributors. We’ve been working hard this year on making FMRIPREP robust - this means it should perform well no matter what data you throw at it. To achieve this goal we had to test it on many datasets! The effort seems to be paying off - the first preprint (from and outside group) using FMRIPREP has been published this year. 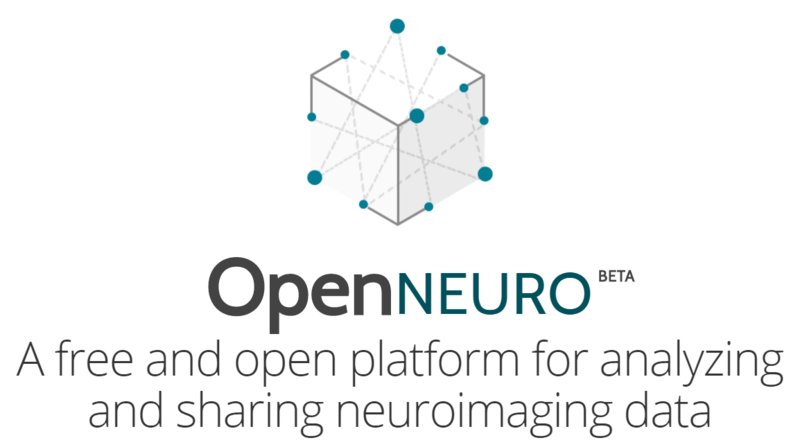 Tying all of this together (BIDS and BIDS Apps including MRIQC and FMRIPREP) is our new platform for data sharing and data processing - OpenNeuro. Building on the success of OpenfMRI we created a service that makes sharing raw data easy and provides free data processing for those willing to make their datasets publicly available (after 3 years long grace period). This project has been two years in the making and was finally launched this year in June. Since then we saw a steady increase in the number of users as well as first few dataset shared via the platform. We are currently serving 16 BIDS Apps for processing structural, diffusion, and functional data. Kudos for making OpenNeuro happen go to the amazing team of developers at Squishy Media. If you have not tried OpenNeuro yet you should give it a go - the interface is really slick! While we are still ironing out all the kinks in OpenNeuro, its predecessors - OpenfMRI - is still accepting datasets. This year we have published 33 new datasets and crossed an important threshold of hosting data from over 3,000 participants. All of this was possible due to the hard work of our data curators: Suyash Bhogowar and Joe Wexler. New projects have absorbed most of my time this year, but in the meantime, NeuroVault - the repository for statistical maps and brain atlases - has been serving the community with great new data sharing, visualization, and data analysis features. This year NeuroVault users deposited 10,654 new maps. What is more important we are also seeing more reuse of the data deposited in NeuroVault. I worthy example is a study by Taylor Bolt (from Lucina Uddin's group) published this year in Journal of Neuroscience that used maps from 17 studies found in NeuroVault. This year I’ve been away from home for 94 days traveling a total of 151,380 km (almost 4 times around the world). It’s a little less than usual but it did allow me to attend some great conferences (OHBM in Vancouver was the highlight), as well as teach at multiple workshops: Neurohackweek, UK Software Reproducibility workshop, Better Science SANS satellite and UNC fMRI workshop. I feel guilty about my carbon footprint, but it still feels that working with people in person is hard to replace. Russ Poldrack's Nature Neuroscience Reviews paper “Scanning the horizon” (that I contributed to) came out and it has been very popular so far. I was honored to contribute to Tal Yarkoni’s new paper on large-scale probabilistic maps of cognition. Together with Joke Durnez (co-first author) and Russ Poldrack, we have published a data paper describing preprocessed CNP dataset. Publishing with F1000 was a great experience. I also helped Greg Kiar to publish a paper about Ndmg - a BIDS App for extracting structural connectomes from diffusion data. Watching social media at the end of the year, one can get an impression that everyone is doing fantastically and achieving amazing things without a sweat. For me, this year wasn't all roses and watching great projects yield their fruits. There was also a lot of bad stuff: rejections, mistakes, disappointments, regrets, failures etc. I don't feel it's useful to get into any details, but it's worth remembering that very rarely (for anyone) things are 100% brilliant. So that was 2017. Let's see what 2018 will bring!